Columbia Gas, the utility involved in the natural gas explosions last month in the Merrimack Valley, announced Friday it will not meet its Nov. 19 deadline for restoring gas service. 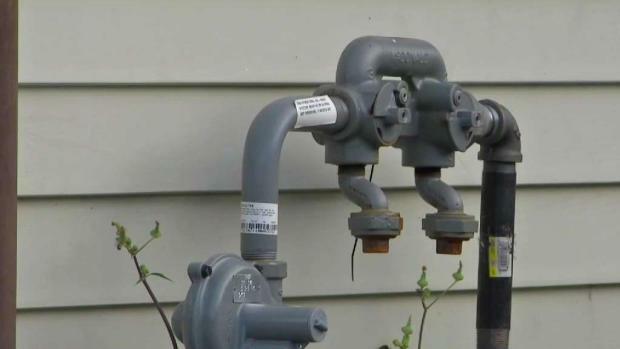 Massachusetts officials announced Oct. 26 that the deadline for gas restoration in the Merrimack Valley has been pushed back to December. Authorities said they now expect to complete gas restoration between Dec. 2 and Dec. 16. The original deadline was Nov. 19. Gov. Baker and Lawrence Mayor Dan Rivera urged residents to take advantage of temporary housing being offered as temperatures begin to drop. The utility involved in a series of natural gas explosions and fires in three Massachusetts communities last month acknowledged Friday it would not meet its original Nov. 19 deadline for restoring gas service to all its customers. Attorney General Maura Healey blasted the gas company Friday, calling the delay "simply unacceptable." 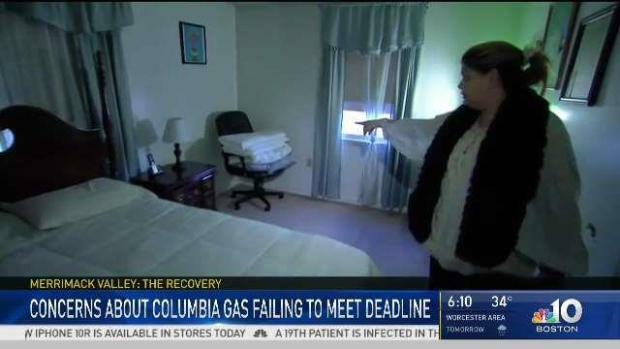 "Columbia Gas needs to explain why, even after incorporating temporary repairs, it may take until mid-December to restore heat and hot water to families who have already faced these burdens for weeks and weeks," she said. "By November 19, Columbia Gas should provide all impacted residents with either temporary or permanent heat, or appropriate temporary housing, regardless of cost." 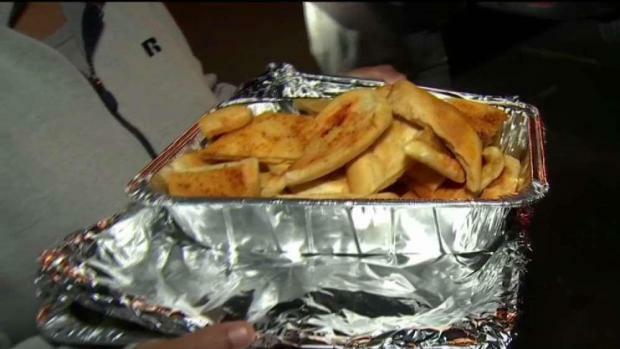 A New Hampshire couple is handing out thousands of meals to people in Merrimack Valley who still remain without heat after September's gas fires and explosions. Thousands of customers in Lawrence, Andover and North Andover have been without gas service since the Sept. 13 disaster as the utility replaces some 50 miles of gas pipeline. Gov. Charlie Baker on Friday called the recovery "painful, frustrating and inconvenient." "As these challenges persist, we all know the temperatures are dropping," said Baker, who urged residents without heat and hot water to consider taking advantage of temporary housing being offered to them in trailers, apartments and hotels. Lawrence Mayor Dan Rivera also urged residents to take advantage of the temporary housing. 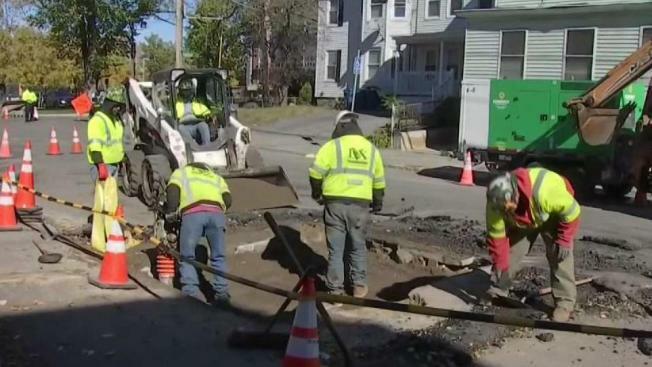 Massachusetts officials announced Friday that the deadline for gas restoration in the Merrimack Valley has been pushed back to December. "Don't let distance be deterrent in getting housing. If it’s Tewksbury, if it’s Boston, take the housing now. We are in a disaster zone in disaster conditions," Rivera said. "This is a disaster situation and if you wait until the last moment to allow yourself of a hotel, you’re going to find a busy line." State and local officials are expected to make a statement on the gas restoration efforts in the Merrimack Valley. Pablo Vegas, chief restoration officer for Columbia Gas, expressed sympathy for the affected residents and reassured them of the work being done. "We understand this has been a frustrating process for many," Vegas said. "The patience and resilience of this community is inspiring, and we will work day and night to restore and regain our customers' trust in us." Vegas said the company is doing all it can to reduce suffering by customers. Residents have been increasingly frustrated with the lack of gas in the city as they struggle to keep warm without any heat or hot water. "It was 59 degrees, and that’s during the day," Lawrence resident Sherri Deshaies said. Deshaies and her elderly mother can no longer bear the cold and will be heading to a hotel in New Hampshire for shelter. "She says she’s sleeping in her bed with double layers of clothing on fully dressed and told me today she puts her hands in her pockets when she goes to sleep," Deshaies said of her mother. Andover Town Manager Andrew Flanagan issued a statement saying he shared in the frustration of residents. "Today's news no doubt leaves many people frustrated and adds many new questions to an already complex crisis. I share in your frustration, and it is my job to ask the vital questions every day until everyone has answers," Flanagan said. "Andover's town officials will remain at the table every day until every pipe, meter and appliance is fixed; every driveway, lawn and street repaired; and every home and business made whole again."